Review: Should the Sony Xperia Z3 Compact be your next phone? Compact in both name and nature, but does it have what it takes to outclass its rivals? While the Z3 is aimed at the high-end market, the Z3 Compact is hoping to make a dent in the mid-range smartphone market. Yet considering the competition surrounding it, does it have what it takes to reign supreme? From the body alone, there’s a lot going on with the Z3 Compact. Just from looking at it, it lives up to its name by squeezing in practically every physical feature you can think of into a small body. The device uses a glass front and back cover held together with a plastic rim, and the lack of removable parts helps it achieve a good balance between style and practicality. It’s certainly comfy to hold and this is helped by the rounded-off sides and corners. The one minor annoyance about this design is that certain ports like the charger port, SIM and SD card slots are hidden underneath plastic covers on the side. It’s certainly not the worst problem to have, although taking out the SIM card can be a little more trouble than it should be, and when you consider this measure is to ensure the device is dust and waterproof, it’s a small price to pay. Running a modified version of Android KitKat, Sony’s interpretation has mostly kept the feel of a pure Android device with a few touches of its own. The core features are there, but little changes like the quick settings screen, active apps screen and a quick swipe menu for sorting our your apps makes the whole experience flow better. The only con is that Sony still insists on including numerous apps and services that you will never use. Compared to previous editions, this isn’t as bad as it was before, but most of them are left redundant since they either have no practical use or there are better alternative versions out there. If you’re in any way invested in the Sony ecosystem, then your experience may differ, but it’s unlikely you will get much use out of them if you’re not. The hardware is also impressive and how Sony has managed to almost match the specs of the Z3 is quite a feat. The 2.5GHz quad-core Snapdragon 801 processor means it’s on par with most high-end devices, and it ensures that its performance is always quick without a hint of slowdown. The screen is also great and while it doesn’t match the sharpness of other high range devices, it comes a very close second. Sony claims that the battery life is able to last two days, and to its credit, it comes very close to this. Regular users will make it last close to a day and three/quarters, while the more conservative users will likely squeeze more than the two day claim. One thing that’s a little bit worrying is how the device can begin to get hot through heavy use. This won’t happen that much if you use your phone regularly, but if you’re using it for a graphics-intensive game or using some of the more demanding camera features like 4K, it will overheat and quit the programmes unexpectedly. Granted, it throws up a warning when you enter this mode, but that doesn’t make it ok.
It’s more likely that will cause an app to quit instead of the software itself, although it won’t happen that often. In a word: impressive. The camera manages to go from standby to camera mode almost immediately and there’s almost no time lag experienced when capturing photos. It comes with a 20.7MP camera, which is quite powerful and for the most part, lives up to expectations. The range and scope of features included, including live streaming footage on YouTube, means you won’t be stuck to find the correct mode or features for any given moment. How well they perform, however, depends on how intensive they are. Normal camera modes run fine, but the more demanding modes like augmented reality will cause it to stutter a little. The addition of 4K quality video is nice, although it’s unlikely anyone will truly use it. The fact that you’re given a warning about the phone overheating probably isn’t the best sign and you have to be conscious of it when you’re using it. Although how many people will use this feature is another story entirely. Sony hasn’t just created a great mid-range smartphone, but a device that could go toe-to-toe with some of the more high end competitors out there. However, there’s one major caveat that might deter some people: the price. 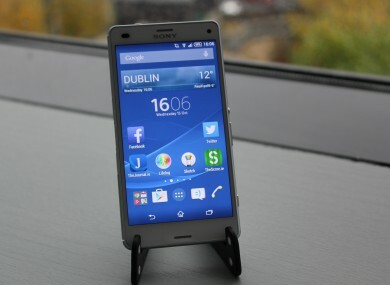 Coming at €429, it’s going to leave a hole in your pocket, even if you opt for a bill pay version. However, Sony has managed to cram in a serious number of features and hardware into the Z3 Compact and avoiding a watered-down version of its bigger brother, and those looking for a practical yet feature-rich device will find a lot to like here. Sharp screen and fast performance. Price is higher than other mini devices. Can falter at the more demanding camera modes. Sony still insists on bloatware, which range from somewhat useful to redundant. Can be prone to overheating through prolonged use. The Sony Xperia Z3 Compact is currently available at Carphone Warehouse (€419) Vodafone, (€429 PAYG/Free on Bill Pay) O2 (€459 PAYG/ Free on Bill Pay) and Meteor (Free on Bill Pay). Email “Review: Should the Sony Xperia Z3 Compact be your next phone?”. Feedback on “Review: Should the Sony Xperia Z3 Compact be your next phone?”.